Extreme heat, fierce winds, little vegetation and water are probably the things comes to your mind when talking about Sahara desert. Despite the fact that it is one of the harshest environments in the world, Sahara desert is home to many animals. 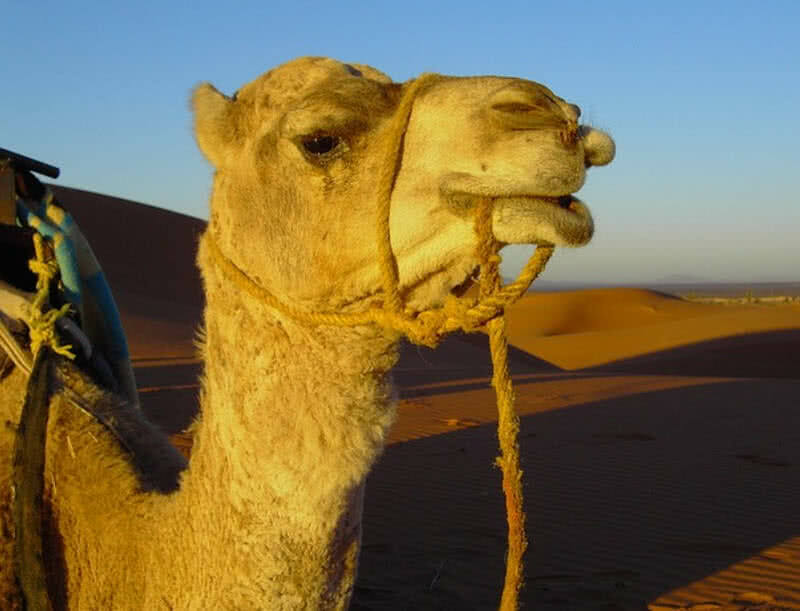 Here the list of 10 amazingly adaptive Sahara desert animals. 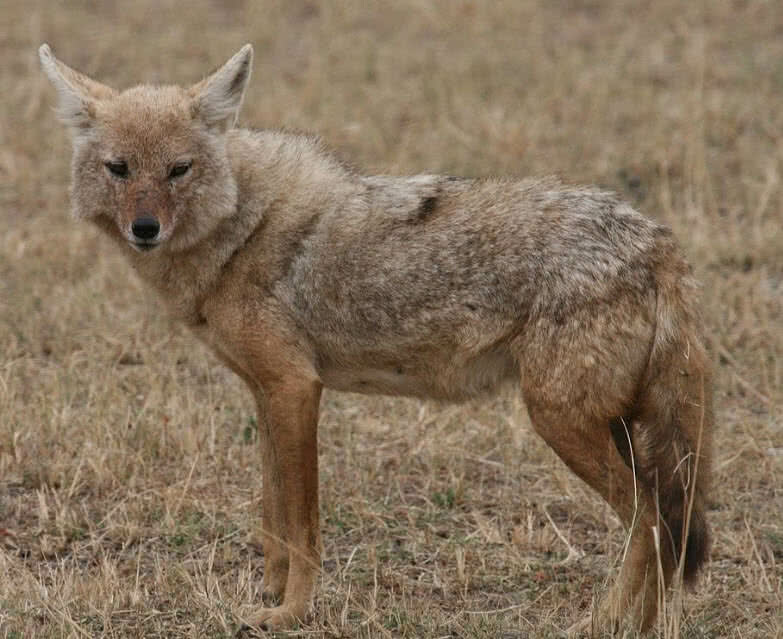 At first look, golden jackal resembles a small wolf. Actually, it is a highly adaptive member of Canidae, the family of dogs. There are three types of jackals in the world. Golden jackal is the most desert-adaptive member of this family. They can thrive in a wide variety of habitats. 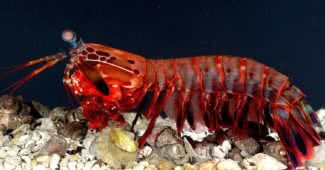 Although, they commonly found in dry areas, especially in Western Sahara. Golden jack is the largest member of all jackals. An adult golden jackal has a length between 2-3 feet and weigh up to 15 kilograms. The color of their short fur changes with the seasons. Throughout the summer, golden jackals have light colored fur. During the next winter, the color will change to darker one. Thus, golden jackals can stabilize the body temperature even in harsh, desert environment. Golden jackets have excellent night vision and acute sense of hearing and smelling. So, it is not at all hard them to detect small predators, even in harsh environments. Horned Viper is a large, venomous snake that found in desert habitats of Northern and Eastern Africa. They are easily identified by the two horns above their eyes. Horned vipers have heavy body and length up to 2 feet. This venomous desert snake also has a sand color with dark rectangular patches. The sand color of horned vipers helps them to easily camouflage with the desert environment. During hot day hours, horned vipers bury themselves in the desert sand with nostrils exposed. With rapid sideways movements, they can easily hide under the sand. It also protects them from the extreme desert heat. 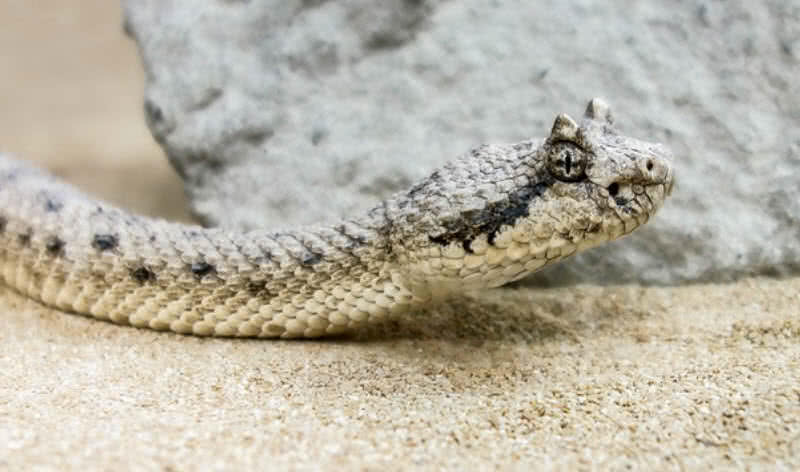 Horned vipers also use this camouflage technique to catch the rodents as an ambush predator. They mostly hunt at night. Their diet mainly consists of rodents and lizards. Horned vipers also have a few natural predators. Their venom contains 13 different types of toxins. So the bite causes serious health problems and even death. 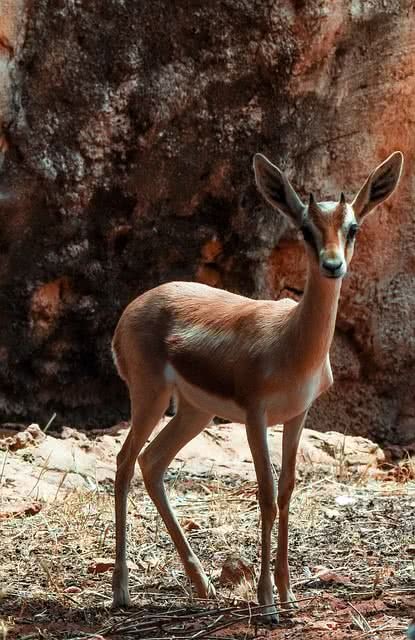 Dorcas gazelle is a desert dwelling antelope that found throughout the Sahara. It is small and an endangered species of antelope. They live in a wide range of group sizes. Dorcas gazelles are perfectly adapted for the life in desert lands. Dorcas gazelles can withstand in extreme hot temperature of the Sahara desert. They can also go without water for long periods. Dorcas gazelles will consume the moisture from the careful selection of plants. During the hot summer season, to prevent the water loss, the Dorcas gazelles only become active at early morning and throughout the night. It also keeps themselves from attack by potential predators. At harsh conditions Dorcas gazelles found in small groups and at favorable conditions they form herds of up to 100 members. 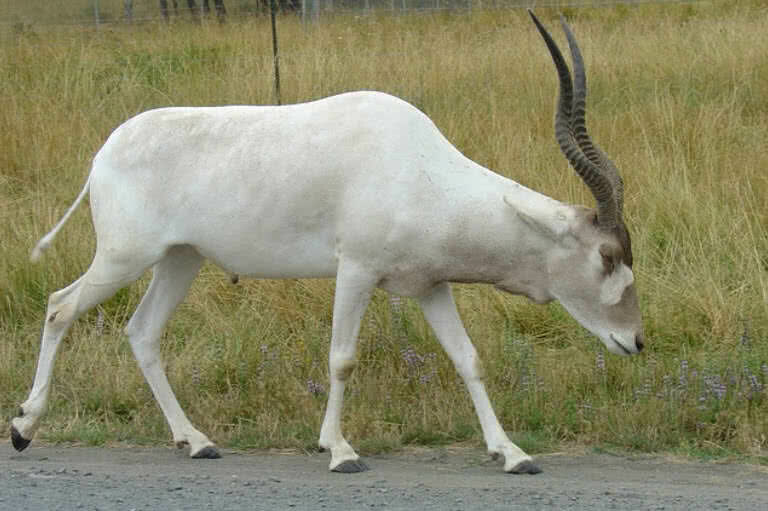 Addax Antelope is probably the most desert-adapted antelope in the world. This desert dwelling member of antelope family can be found throughout, the isolated areas of the Sahara desert. Unfortunately, they are critically endangered, less than 500 left in the wild. This large antelope has a height between 100-114 centimeters and weigh up to 124 kilograms. Both male and female Addax antelopes have attractive twisted horns, measure between 3.1-3.8 meters in length. Their legs are short and hooves are wider than other antelopes. Addax antelopes have several special adaptations to thrive in the harsh environments of the Sahara desert. As they have a wide and flat hooves, it is easy for them to walks across the sand dunes of the Sahara desert. Addax antelopes, only become active during early morning and evenings and remain rest during the hot hours. It helps them to conserve body water in the harsh environment. The coat of Addax antelopes plays a big role in stabilizing their body temperature. The color of their coat changes with season. It is almost completely white in hot summer. Thus the sunrays get reflected away from their body. In winter season the coat color will change to smoky gray and it keeps the body remain warm. Addax antelopes search for food only during early mornings and late evenings. It is because the presence of water in desert plants is high during these hours. Thus, they can get enough water from the plants they eat. Their diet mainly consist of grass and leaves. Consisting over 300 different species, scarab beetle is one of the most diverse groups of insects in the world. They live on every continent except Antarctica. Because of several key adaptions, the scarab beetles can survive in many habitats including deserts, forests and farmlands. 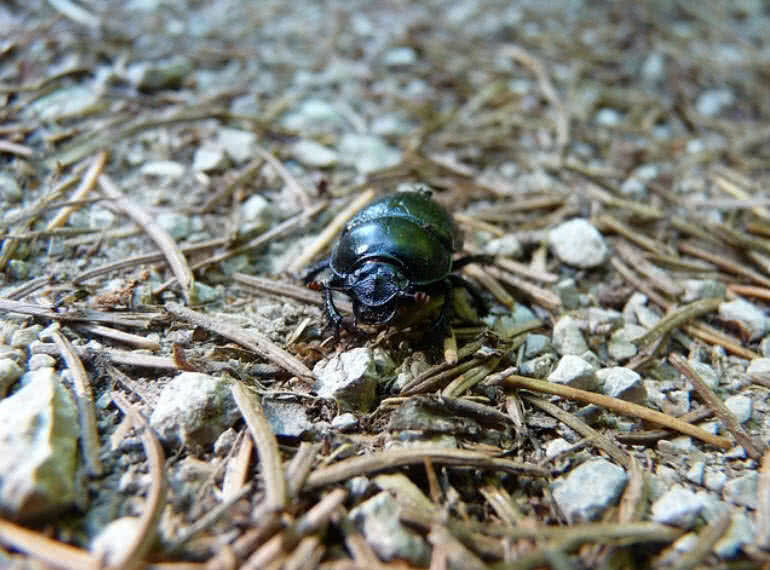 Dung beetles and rhinoceros beetles are two of well- known beetles of scarab family. In spite of their small size, scarab beetles have a very stout body. Based on strength to weight ratio, the dung beetle of the scarab is the strongest creature on earth. They can lift 1141 times their own body weight. It helps them a lot in finding the mate and food. The dung beetles also constitute a large percentage of scarab family. They feed on the excrement of other animals that is why they named so. Dung beetles can sense the smell of dung from long distances as they have a strong sense of smell. Once located the dung, they roll it back to their burrows. Some species live on dungs and some others feed on it. By eating the excrement, dung beetles get the undigested nutrients. The drilled dungs are also the place for female dung beetles to lay their eggs. These ball shaped dungs also become both home for food for beetles in the larvae stage. The desert monitor is a large, desert-dwelling species of lizard. They inhabit in Western Sahara, the Arabian Desert and arid regions across the Central Asia. Desert monitors have a long body, reach up to a maximum length of 2 meters, strong limbs and a powerful tail. The desert monitors become active during the day. Their skin is perfectly adapted to live in the desert environment. So that desert monitors can withstand in the scorching heat of the Sahara. Desert monitors also have salt glands that help them to prevent the water loss. 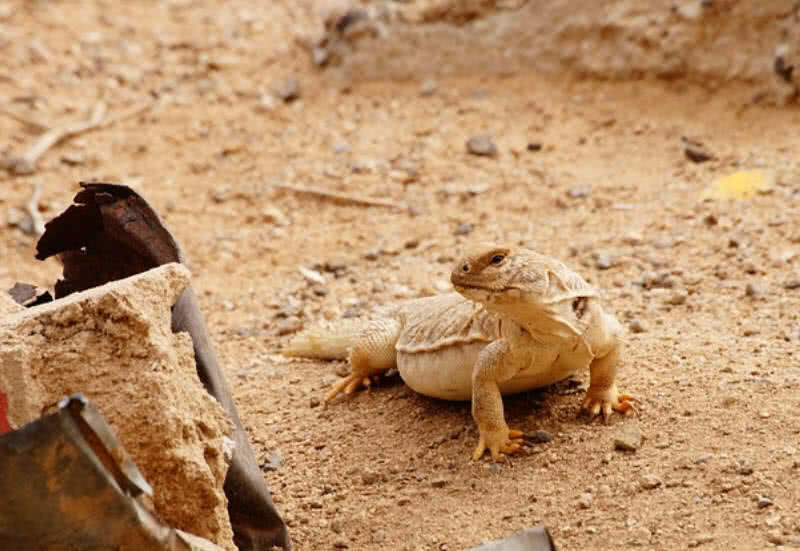 In a single day, the desert monitors travels long distances in searching for food. They can run at a maximum speed of 20 miles per hour. Like snakes, desert monitors have forked tongues. They use this tongue to sense the chemical clues in the air. Thus they can easily locate their prey. The desert monitors make a sudden attack on its preys. Small mammals, insects and birds are the main animals on which desert monitors prey on. Throughout the winter, from October to April, the desert monitors will hibernate in the burrows. By doing so, they can conserve energy and can survive a long period without food. At a height of 2.5 m and weigh between 70-145 kg, the ostriches are the largest and heaviest bird in the world. They mainly found in savannas and deserts of West and Central Africa. This large bird possesses a numerous abilities that make them well-adapted to live in the desert lands like the Sahara. 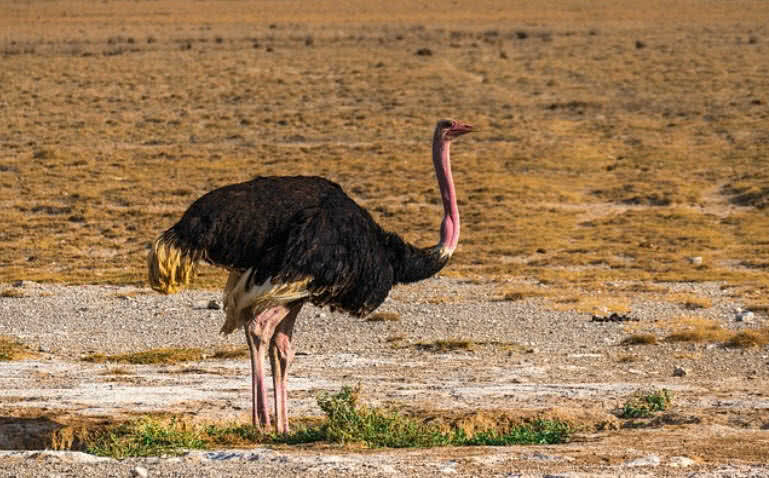 The extreme heat and lack of water of the Sahara is not matter for ostriches. They can survive for a long time without water. To fulfill the water needs, the ostrich’s body absorbs the moisture present in the plants they eat. Ostriches have very long neck so that they can detect the predators like golden jackals from long distances. Even though ostriches are flightless, they have very long and strong leg. Thus, to outrun the predators become not so hard. They can sprint at maximum speed of 45 miles per hour. Even in case of a close encounter, ostriches can kick the predators with their strong legs. Ostriches are also two-toed feet bird. So they could move across sand dunes of deserts without much difficulty. One common myth exists about the ostriches are they buried their heads in the sand when threatened. It is not actually true. Sometimes they flop to the ground with head flat on the ground. The pink-grey coloring of their head and neck also can perfectly blend with the color of sand. In such a situation ostriches may look like burying their head in the sand. Ostriches also have very good eyesight and can turn their head in any direction. It helps ostriches a lot to protect themselves from the predators. The diet of ostriches mainly consists of leaves, roots and seeds. Fennec fox is the smallest species of fox that live in dry regions of the Sahara desert. This small, cute foxes only have a length between 25-40 cm and weigh less than 1 kg. Fennec foxes known for their long ears and adaptations they possess to survive in the harsh Sahara desert environment. The 6 inch long ears are most distinguishing attraction of Fennec fox. The long ears help Fennec foxes to dissipate excess body temperature. Thus, they can keep their body cool in extreme heat hours in the desert environment. Using these long ears, Fennec foxes can easily sense the movements of preys lie rodents and insects. Apart from long ears, the thick, sand colored fur is another attractive feature of Fennec fox. They have fur even on the bottom of their feet. It protect their feet from hot desert sand. The thick fur of Fennec foxes also keeps their body cool in hot day hours and warm during cool nights. Fennec foxes can live long period without water. Their body will consume the moisture from the food they eat. The kidneys of Fennec foxes are adapted to prevent dehydration. 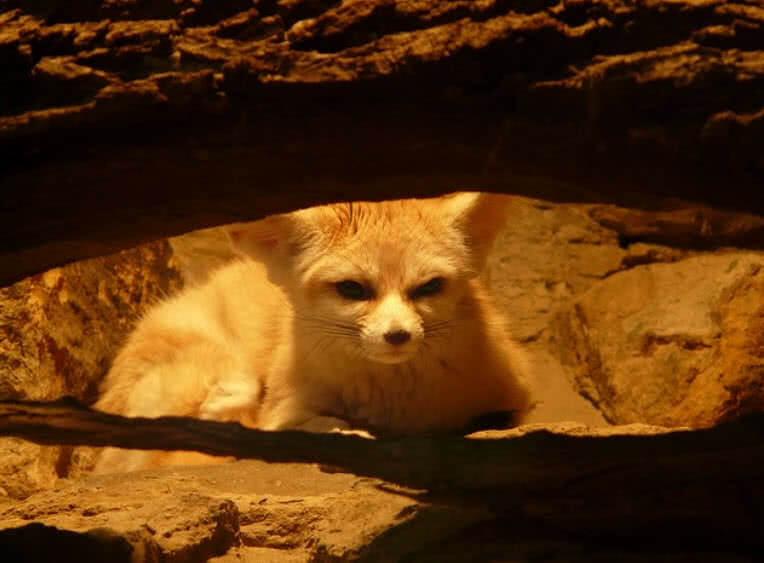 Fennec foxes also have extensive burrowing behavior. Thus, they can consume the dews form in their burrows. Fennec foxes are nocturnal. They spent hot day hours in sleeping in cool burrows and come out at night for hunting. This nocturnal lifestyle also helps Fennec foxes to prevent the water loss. The deathstalker scorpion is one of the most poisonous creatures found in scrublands and deserts. They have specialized adaptations to thrive in hot desert land like the Sahara. The venom of deathstalker scorpion is not fatal to a healthy adult human. But the sting is extremely painful and cause paralysis. Even though the deathstaker scorpion features many adaptations, the regulation of metabolism is the most distinguishable one. When the food is so scarce in the Sahara, the deathstalker scorpions will slow down their metabolism. Thus, deathstalker scorpions can even live for an entire year on few insects. Their body also consumes needed water from the food they eat. So that the deathstalker scorpions rely on water very rarely. To escape from the hot hours, the deathstalker scorpions hide in burrows, small cracks and under the rocks. They only come out at night for hunting. 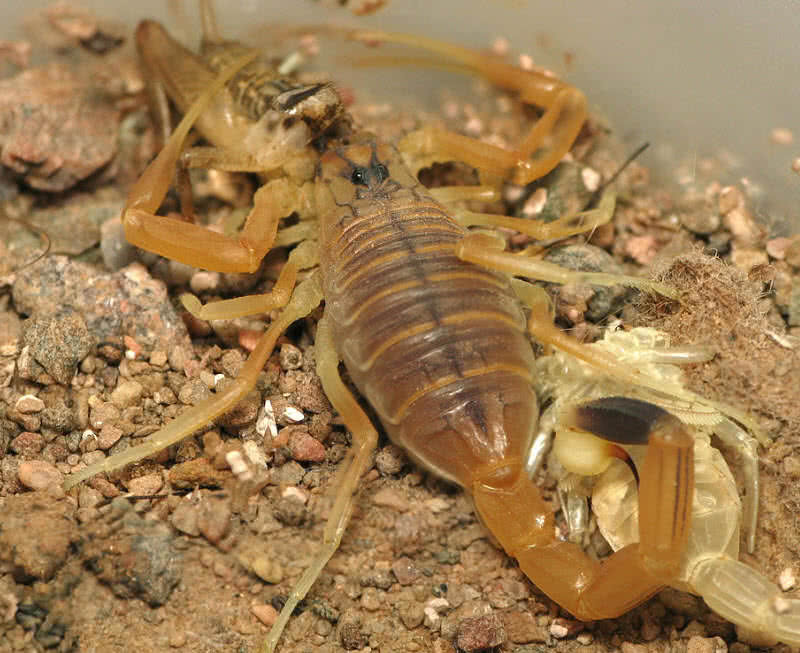 The diet of deathstalker scorpions mainly includes spiders, beetles and ants. Sometimes they even prey on other scorpions. Probably, camels are the first image comes to your mind when talking about wildlife in the Sahara. The dromedary camels were introduced to the Sahara desert around 200 A.D. They are vitally important for transportation, wool, milk and meat. More importantly, camels are perfectly adapted to live in harsh desert environments. The fat stored hump is the most distinctive feature of camels. There are both one-humped and two-humped camels. The camels found in the Sahara are one-humped (dromedary) camels. The two-humped Bactrian camels are native to rocky deserts of Central and East Asia. The single-humped camels found in the Sahara desert can store up to 36 kg of fat. When the food is scarce, the camels can break down the stored fat into energy and water. Thus, they can survive long periods without food in the desert. The camels also have exceptional ability in the prevention of water losses. They can withstand up to 49 degree Celsius without sweating. Thus camels prevent the loss of water in the form of evaporation. The nose of camels has large surface area with large turbinates. These turbinates saves the body water by cools down the exhalant air. These special adaptations help camels to go more than a week without water. They can also drink up to 46 liters of water in less than 15 minutes. The thick fur of camels also keeps their body cool during hot hours and provide warmth at night. The legs of camels are long and strong with huge feet. So that they can easily walk on desert sand without sinking. The leathery patches on their knees also keep it out from burning when resting on the desert sand. In addition to all these camel can carry large loads for long distances across the deserts. The blowing sands are one of main troubles you have to face while move across a desert. But for camels, it is not at a problem. Because they have long eyelashes that protect against sand and harsh sunlight.